Uppers manufactured from a single piece are nothing new. In the sports shoe sector in particular, textile designs, which reproduce the butterfly contours of the entire upper shoe area, are creating quite a stir. KARL MAYER has gone one step further with integrated production. 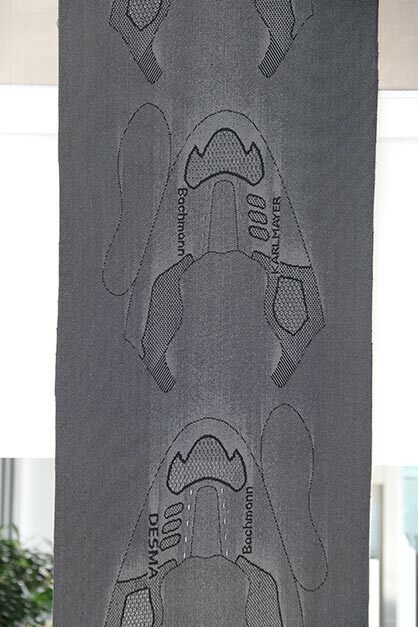 This company uses its double-bar raschel technology to also incorporate the insole directly into the textile product. The covering for the lower area of the shoe is produced during the warp knitting process on an RDJ 5/1 and is joined at the sides with the butterfly shape. A short seam is all that is needed to close the shape of the shoe to which the actual sole is applied directly by injection moulding. This modification to the production process enables making-up costs to be reduced by as much as a third.